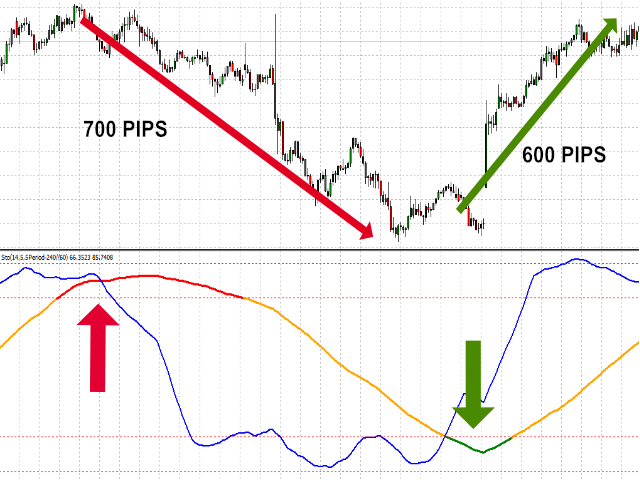 Double Stochastic is a multi-timeframe tool created to hepl traders spot Overbought and Oversold price areas on timeframes different then chart's timeframe. 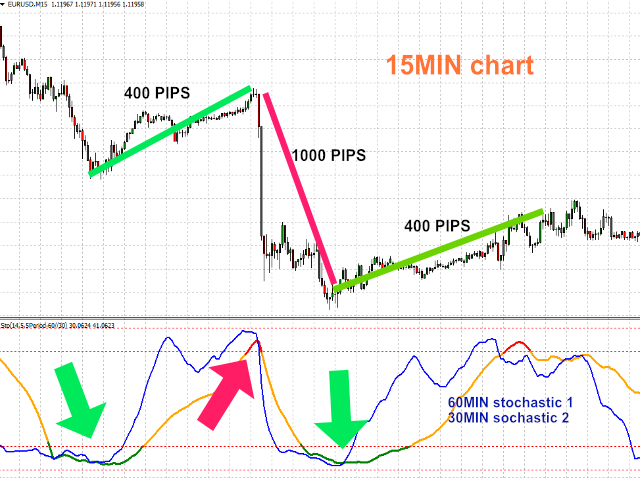 Double Stochastic uses smaller timeframe as signal for higher timeframe. 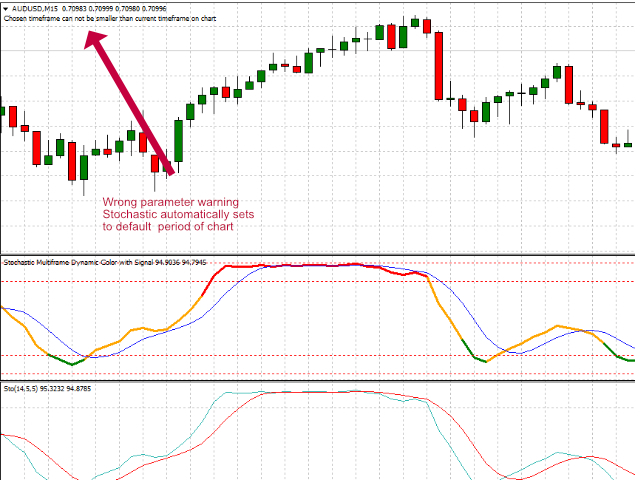 Very often is essential to know what happening on higher timeframe then the one we trade and this is when Double Stochastic can help recognise if we are going with trend or against it. 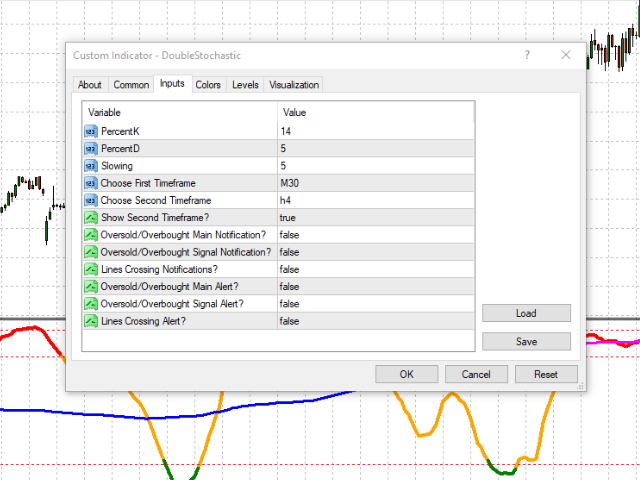 Oscilator has build-in dynamic color change for quick spotting overbought and oversold areas, and if that is not enough You can use notification option send to Your mobile phone just when price entering top or bottom area of oscilator. Added visual oversold/overbought areas to second/smaller timeframe indicator. Notifications for overbought/oversold second timeframe.